NYPD is on the lookout for the suspect in a brutal beat down that occurred last week on Gates Ave. near Myrtle Ave.
42-year-old Jose Guzman, who lived just down the block, died after complications from a head injury he sustained while punched punched in the head and beaten, police said Wednesday. 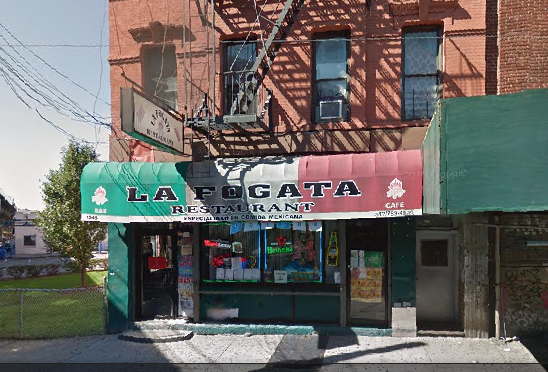 The incident occurred at 4 a.m. on Aug. 24 outside La Fogata restaurant. After getting in a verbal dispute with another man outside the restaurant, Guzman was punched and hit his head on the ground, then rushed to the hospital in critical condition. He earlier this week, according to NYPD. 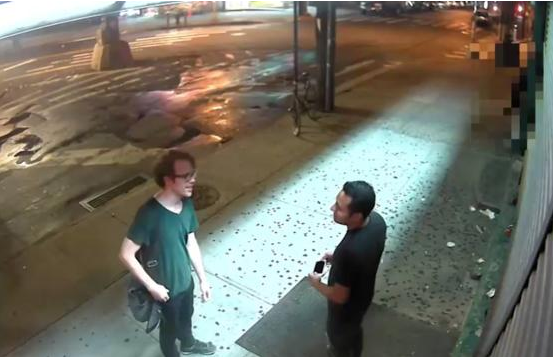 They released surveillance footage Wednesday of two men wanted for questioning in the incident. The man to the right is believed to be the sole suspect.